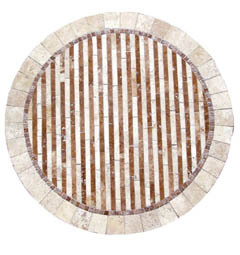 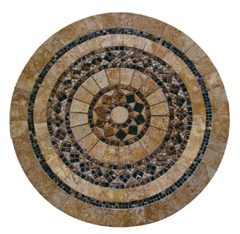 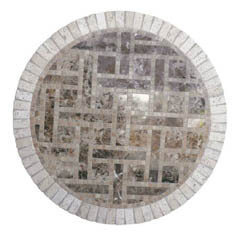 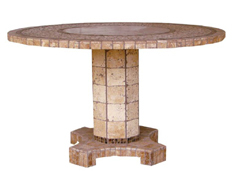 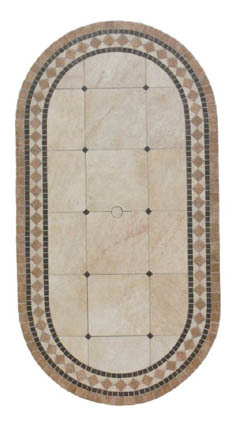 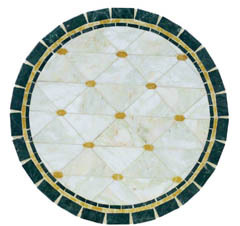 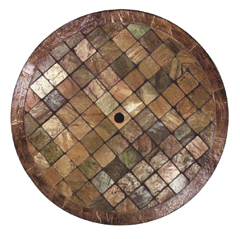 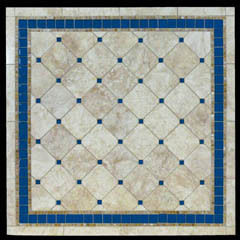 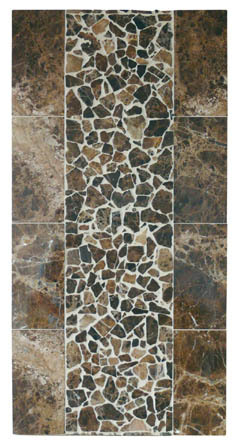 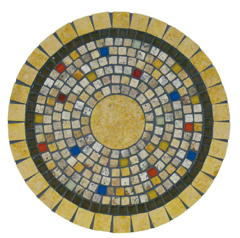 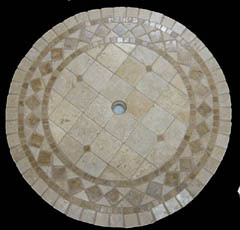 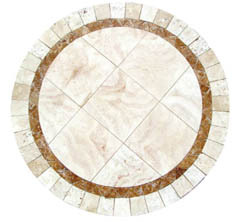 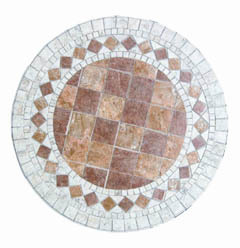 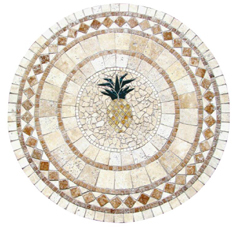 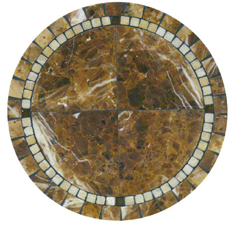 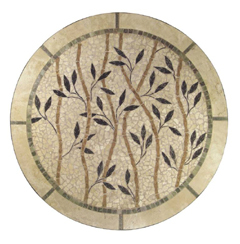 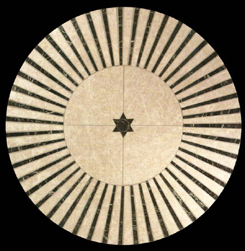 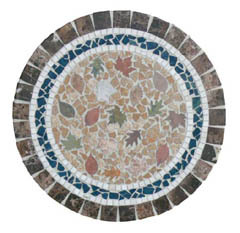 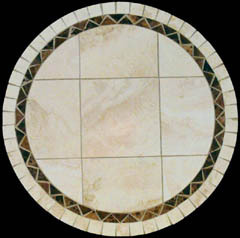 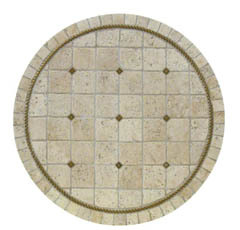 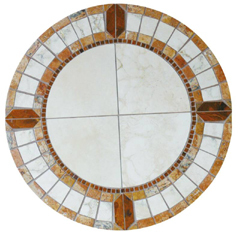 Below you will find our entire collection of natural stone mosaic cocktail tables. 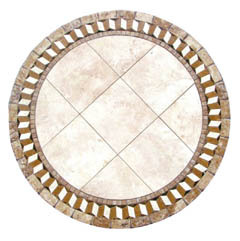 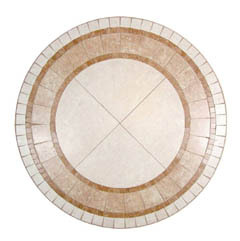 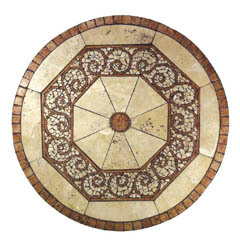 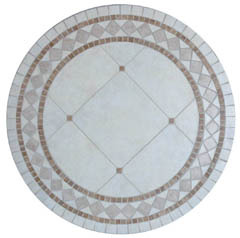 It is important to note that every single design is available standard in a variety of sizes and shapes ranging from a 24" circle, to a 48" X 84" rectangle. 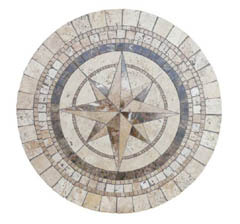 However if you need a size which is different than those listed, simply let us know and we will custom craft your table to your exact specifications. 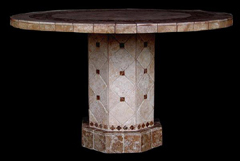 Have the custom cocktail table of your dreams, crafted to your design from real mountain born materials. 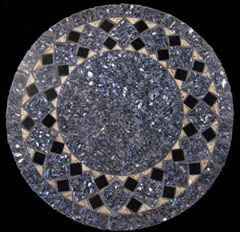 Circles of intricate pattern, embedded within more circles, creating a striking interplay of dark and light contrasts which is further heightened by the sense of stately power which emanates from these attractive cocktail table tops. 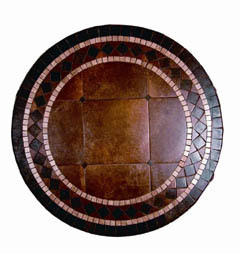 Each of these designs can be paired with any of the table base designs shown at the bottom of the page. 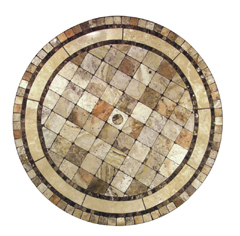 This can then be further customized by adding options such as an umbrella hole for outdoor use, or an illuminated onyx ring which will cast a soft attractive light across a room. 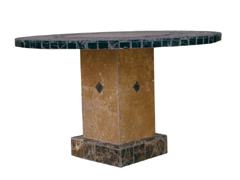 Browns and gold's, a rich mix of hues, broken by streaks of violent white lightning, which crash across the surface of the stone, providing an electric energy to the demeanor of these attractive natural stone cocktail tables. 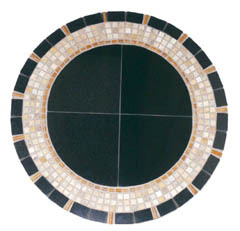 Absolute darkness, 4 slices of midnight forming the intersection of a thin white line, piercing the night, leading through the inky black to the borderlands, a realm of tiny white chips which loops around the emblematic centerpiece of this attractive tabletop. 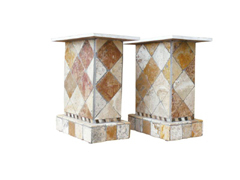 Our cocktail tables are all crafted for both indoor and outdoor use, meaning that you can use any of these designs to craft your very own, outdoor den. 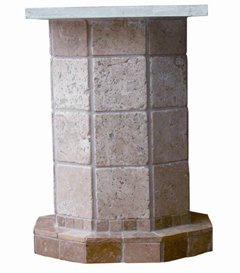 A great way to make use of a patio or backyard, and with the optional umbrella hole, it can even help you stay cool in the shade.